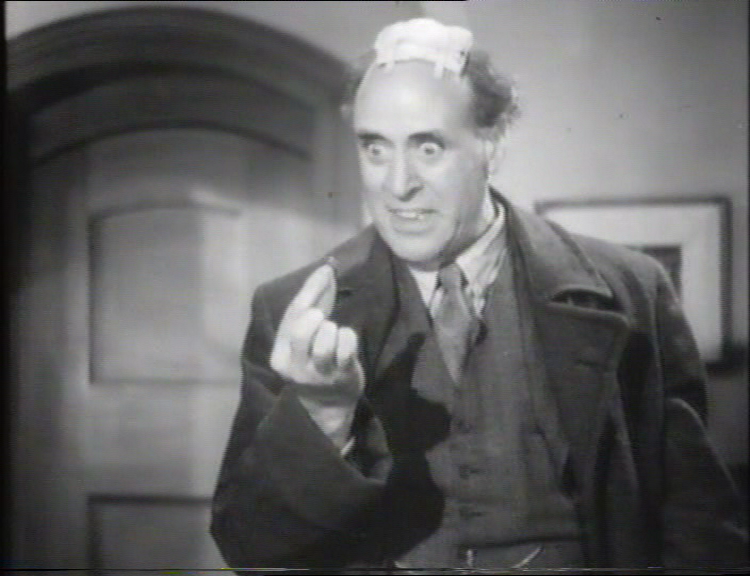 First in the very entertaining three movie series starring Gordon Harker as the Inspector and Alastair Sim as Sgt.Bingham. This was a great series and you can’t go wrong with Sim. 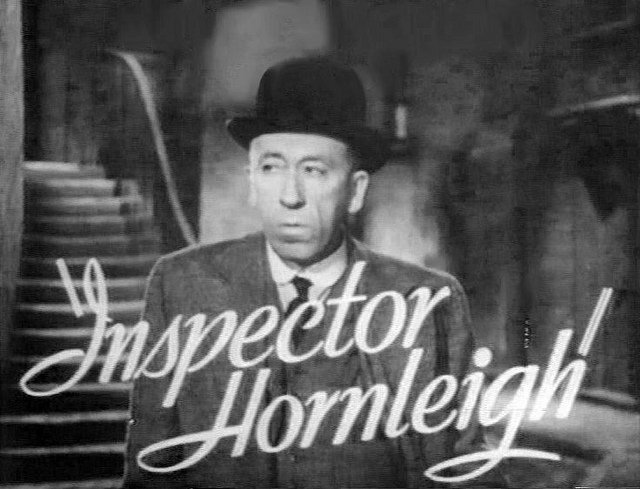 In this opener they have to solve the murder of a man in a lodging house and the mystery of who stole some government secrets. A man named Hendry was stabbed to death in his room at a lodging house. His suitcase and a statuette are missing. They’re traced to a canal. When the suitcase is opened the statuette is inside along with the murder weapon. There’s also the attache case belonging to the Chancellor of the Exchequer. It’s his budget bag. At the Chancellor’s office the real bag is in the safe. Someone switched bags to read the budget that is to be announced in a couple days. The Chancellor spilled tea on the bag and Hornleigh heads for the Peacock Inn where the Chancellor and Dench had tea. Before he gets there the Chancellor’s secretary, Peter Dench, phones the Inn and tips off the owner, Ann Gordon, about the upcoming visit. Ann is his girlfriend. At the Inn Hornleigh meets Ann’s no good brother Bill and the employees. Hendry worked there as an under porter and he’s the one who switched the bags. Hornleigh tells Bingham to take the suitcase and the murder weapon back to Scotland Yard. On the way back the car runs out of petrol and Bingham walks down a dark alley to a bus stop. Before he gets too far he’s hit over the head and the suitcase is stolen. Hornleigh finds out the bag was taken to a leather shop for a quick repair. Before he gets there Bill pays a call on the shop owner, Alexander Parkinson. They talk about a deal they’re involved in. When Bill leaves Parkinson goes to call Scotland Yard. When Hornleigh arrives with Bingham and Dench the place is deserted. In the back room Dench opens a closet and out comes Parkinson…..dead. In his jacket pocket Hornleigh finds an envelope with two hundred pounds worth of notes torn in half. That starts him on the trail to the solution. This works as a mystery and the occasional snide remarks between Hornleigh and Bingham work to lighten things up a bit. The movie is fun and clever.